Women's Month celebrates the compassion of and the synergy between empowered women—and raises awareness that women can help each other in a world that needs their kindness. Mobile technology is a growth catalyst, and SPARK’s Maica Teves sat down with Argomall to share how she uses technology to push for the economic empowerment of women and how she chooses the best tools with which to do this. 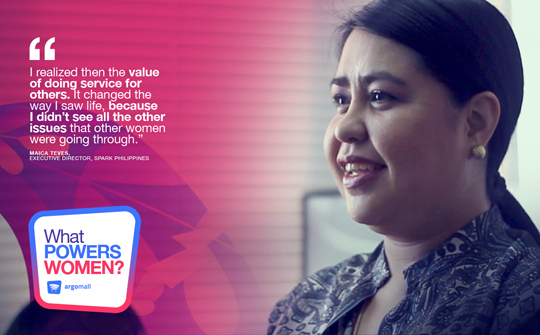 The executive director of SPARK (Samahan ng mga Pilipina para sa Reporma at Kaunlaran) is 40 years old and she uses technology to help push the SPARK advocacy of economic empowerment for women. Argomall.com’s “Add to Compare” button was built specifically for this.